Who knew? But here she is, the lovely Inga, showing her support for her team this weekend. Her family shared this shot with me this morning and I'm so glad they did. It's pathetic, but true, that I'm not a big football fan. Nothing against the game, of course. I listen to the football chatter about the office and it seems to me that there's as much drama in this game as a good soap opera. I recall being stuck at an office dinner with some new hires on my team. By new hires, I mean people much younger than me. The topic went to fantasy football teams. And then the topic pulled up a chair and stayed there and ordered drinks. They finally exhausted their excitable chatter and paused to look at me like they forgot I was there; polite looks on their faces inviting me to join in. So, I say, anyone scrapbook? I've since decided it's not helpful to my career to hang with the new hires. But hey, I'm paying attention to keep in touch. For example, this morning listening to NPR (not an old people station, so you can stop thinking that), it was mentioned that both the Steelers and the Packers are named after the trades in their respective cities. Ironically, trades that no longer exist in those areas. So what if we updated some of the football teams to names like the Seattle Baristas or the New York Hedge Fund Managers. Yeah, it's NPR humor, but I laughed. And just because I'm clueless about football, doesn't mean everyone else in the house is. The kid is all over it. Pretty big fan, it seems. 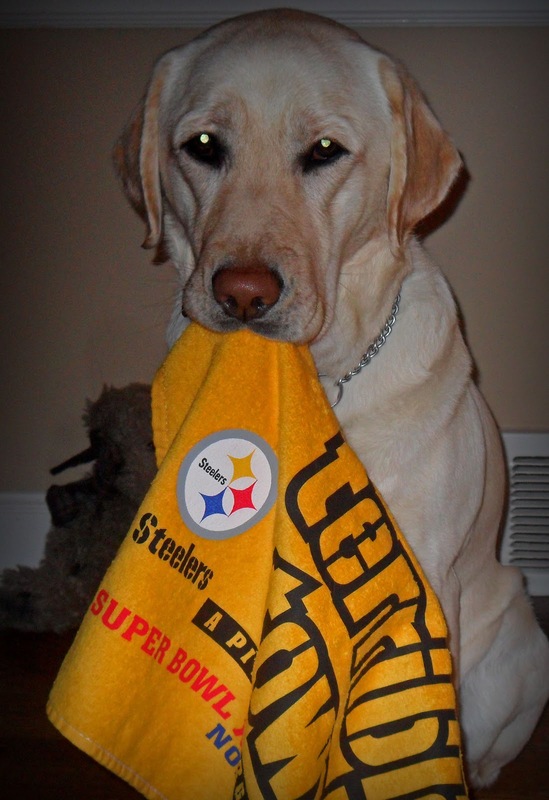 So Inga's a Steelers fan, huh? Well, she certainly wasn't raised that way. 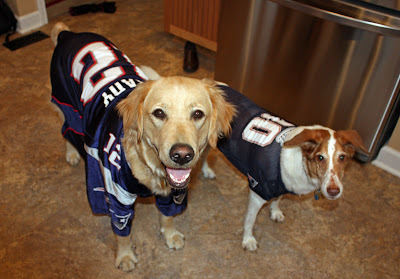 Micron & Jager say "Go Pats"
Amazing! Thanks with regard to publishing regarding these types of incredible as well as uplifting ladies. I possibly could just aspire to participate this amazing team a few day time! I've simply discovered your site as well as 'm getting excited about reading through much more!